A new and drinkable health trend has become a consistent go-to in the past few years. Although it is referred to as a drink, it is technically a food due to the quantity of nutrition that it provides in just one glass. There are several versions of smoothies and an added positive is that they can be totally customized to each person’s tastes. 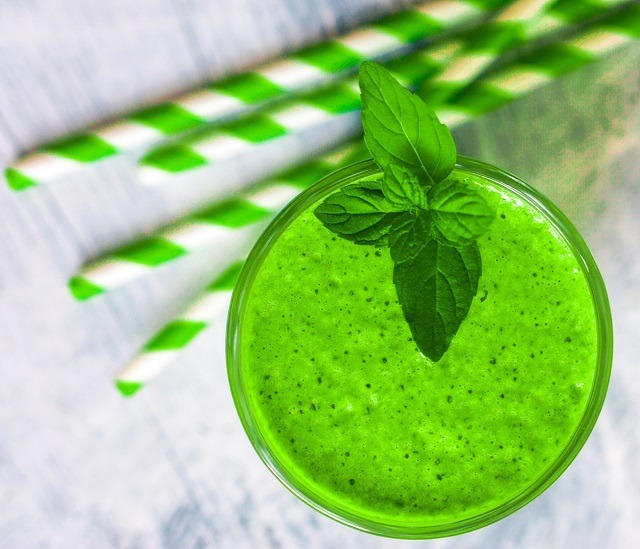 The key intention for the smoothie is to pack the ultimate amount of nutrients and liquid nourishment in a drinkable base with the least number of calories. Common ingredients in smoothies are almost always fruits or vegetables, which provide impressive nutritive value, blended with yogurt, milk, or just crushed ice. Some contain yogurt or milk as a binding agent; some have no lactose bases. There are other additional ingredients in various recipes such as ground oatmeal, wheat germ, or another berry such as strawberries. These ingredients are infused together using a high-speed blender. Smoothies are always best served cold or icy. An amazing attribute of the smoothie is that it almost never tastes like vegetables or something that is “good for you,” making it also a popular go-to choice for parents to give their children. 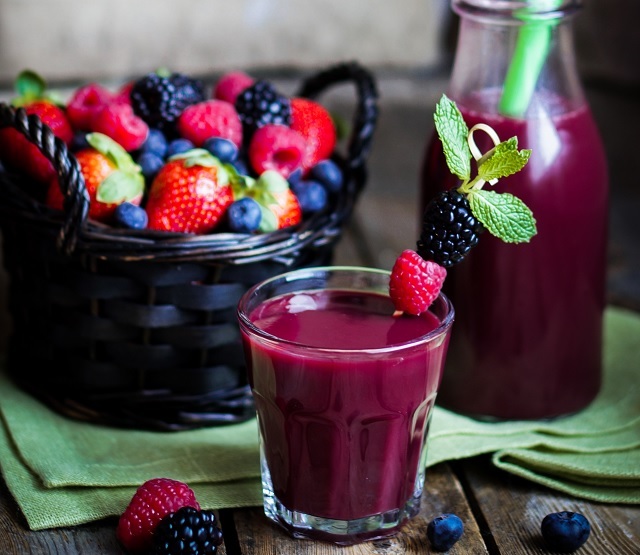 Smoothies are a great choice for the elderly who may be struggling with ingesting solid foods. What is the Current Most Popular Smoothie? Thus far we’ve discussed smoothies in general, so let’s now analyze a fairly new and popular smoothie blend. 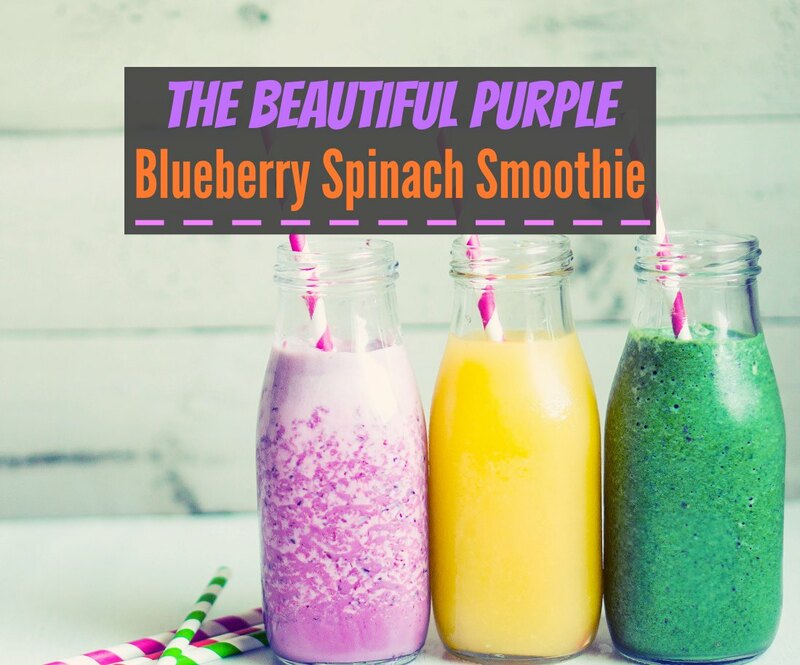 Believe it or not, there is a purple-blue berry that blends marvelously with a deep green leaf vegetable; this new marriage of nutrition and flavor is the newly popular Blueberry-Spinach Smoothie. The two colors alone imply an almost artistic mixture that not only tastes good, but looks good, too! Almost any leafy green vegetable packs commendable nutritive value into any consumable item. However, spinach is one of the most popular of all leafy green vegetables with the only close runner-up being kale. Parents have been “hiding” vegetables like spinach or kale in their children’s foods such as lasagna or pasta for years. Now it can be conveniently and surreptitiously blended into a creamy smooth fruity smoothie. Conversely, the blueberry component of this smoothie has some similar bragging rights: there are innumerable anti-oxidants and nutrients packed into these tiny rotund berries. Separately, spinach and blueberries appeal to most health-conscious adults as conscientious choices. Blending these two mega-foods together can more than double the nutrient value, but the marriage of the two geometrically increases each other’s nutritional value in a symbiotic way. Why is Spinach So Healthy? Spinach is one of the healthiest leafy green vegetables available today. In fact, even in decades past, it was an impressive health food; if there was not true, there would have been no Popeye! The innumerable health benefits of spinach include improved eyesight, stronger muscles, improved elasticity of muscles and ligaments, healthy blood pressure, skin protection, healthy fetal development, boosted growth for infants, bone mineralization and neurological benefits. Some preventative benefits include: advanced prevention of age-related macular degeneration (AMD), prevention of cataracts. Spinach can be readily found either fresh in the produce market of your local grocer, or frozen spinach may be used. Although canned spinach is available, it is the least desirable due to loss of color, nutrients, and texture that is lost during the canning process. Spinach is quite affordable and accessible year-round in most grocers or retailers. Prices will fluctuate according to the harvesting season. Remember that fresh spinach is often a bit more expensive than the frozen variety, but it is also important to remember that fresh spinach packs a more nutritive value. Nevertheless, either can be garnered for under $5 almost anywhere in the country. Why are Blueberries So Healthy? Not only are blueberries packed with nutrients, they are one of the lowest in calories fruits! Because they are 85% water, this serving contains only 84 calories in this packed wallop of nutrition. High Bush are the most commonly grown blueberries grown in the United States. Low Bush blueberries are often referred to as “wild” blueberries. They are usually smaller but richer in some of the antioxidants. Although blueberries are available year-round due to greenhouse operations, they are very affordable for the amount of nutrients they pack in. Fresh blueberries generally run $2 to $5 per pound, or they are sometimes sold by the pint as are strawberries. In this case, they generally run about $2.99 per pint. Frozen blueberries can often be found at large discount retail stores for as low as $9.96 for a three-pound package. Following are just two recipes of the many available online for this purple dream. Be bold and try one today; you may be surprisingly pleased! Combine all ingredients in a high speed blender and process on high until of uniform color and consistency. Pour into pretty stemmed serving glasses and enjoy while cold, preferably with a straw. Process oats first in a blender until well chopped before adding other ingredients. Blend on high speed until of uniform color and consistency. Serve immediately while cold. 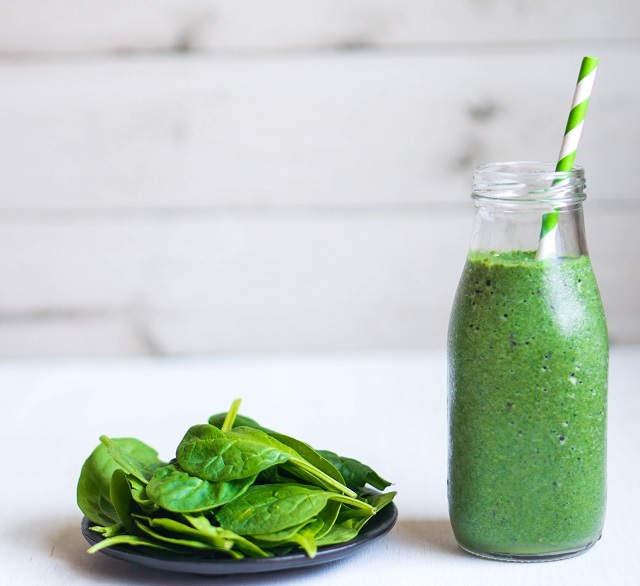 A plethora of additional recipes for Blueberry and Spinach Smoothies can be easily accessed on Pinterest. There are mild differences in the recipes, but all pack the wallop of nutrition in a glass as promised! In fact, a visit to This page will please the eye and tempt the palate, as the purples and blues in the photographs of these myriad varieties of Blueberry Spinach Smoothies are very appealing. Should I Try This Healthy Smooth Drink? The significance of the powerhouse Spinach Blueberry Smoothie is obvious. It is easier to drink a cool, fruity liquid through a straw while on the run during your busy day than it is to sit down to a meal containing possibly fewer nutrients and more calories. The smoothie also serves to eliminate the need to swallow those bothersome supplements that are occasionally like a horse pill. Instead, enjoy a liquid form of these two foods that blend together in a symbiotic marriage of minerals and vitamins that work together to enhance the benefits. Remember to drink them cold or frosty to please your taste buds the most, and a straw adds to the treat!